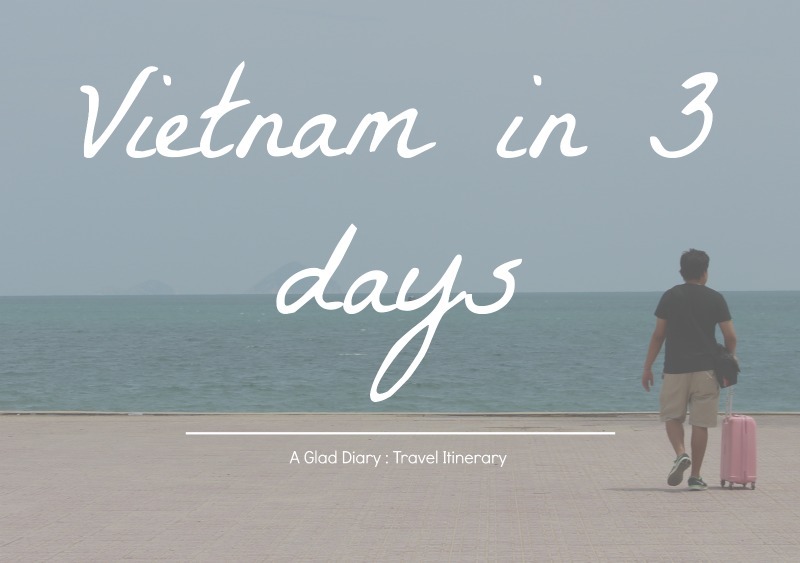 Today I'm finally going to share with you our travel itinerary to Vietnam. We've saved a lot from this trip because my brother in law is temporarily staying there for a work assignment. So most of our meals, taxi fares and home stay are shouldered by him when we visited Ho Chi Minh City. My brother in law booked a tour for us in advance to Cu Chi tunnel for 210,000 VND per pax at Diamond Travel Co. Ltd located at Pham Ngu Lao Street. I find it way cheaper than most tours offered online. If you are into budget travelling then I'd suggest you to book a trip at Pham Ngu Lao Street. There are many tourists shops around there which means you have a lot of tour options to choose from. Some also offers cheap trips to Cambodia, Thailand, etc. Do check out my post : Vietnam Trip : Day 1 for more travel tips and inspirations on our first day to Vietnam. Do check out my post : Vietnam's Glorious Feast for more tips on what to try and where to eat when in Vietnam. As well as Vietnam Trip : Day 2 for more travel tips and inspirations on our second day trip to Vietnam. Do check out my post : Vietnam Trip : Day 3 for more travel tips and inspirations from our last day trip to Vietnam. Ho Chi Minh City can only be explored in 2 days because of that we booked a flight to another destination in Vietnam, we choose Nha Trang because the flight timing is convenient to our tight scheduling. We reserved a hotel (Prime Hotel Nha Trang) at Booking.com in advanced. If I may suggest, book a more decent hotel either Sheraton Nha Trang or Novotel since it's way more cheaper especially if you're only staying for a few days there. Mud Bath is a must try when visiting Nha Trang. We went to Galina Mud Bath and Spa which is located at the back of our hotel. Our hotel gave us 30% discount since it's they are owned by the same group of companies. They are the only mud bath and spa located at the city center. There are many package options to choose from but I chose the Mineral Mud Bath package which cost 249,000 VND after the 30% discount (the cheaper package) since I only ever wanted to try the mud bath. Louisiane Brewhouse is also a must visit when travelling to Nha Trang. As of writing, my mouth is salivating just by thinking about our meal there. Ahahaha! Trust me, they serve the best seafood. When in Vietnam, hire a white taxi service (Vinasun Taxi) to avoid getting ripped off. I am personally recommending this taxi service because they were the only company that accepts Visa plus they're highly reliable among others. When we went to Nha Trang Vietnam, we we're ripped off by Mai Linh Group Taxi Service. They we're supposed to be okay however we realized they are not. We paid double the price from Cam Ranh Airport to Nha Trang City Center. The trip is 20 - 25 minutes away. We paid all our Vietnamese Dongs as well as all our Singaporean Dollars to the taxi driver. In the end, we only relied to our Debit Card to survive the entire trip. Ahaha! I tell you, it's quite scary. If you've decided to visit Nha Trang, try to negotiate a fix price with the taxi driver from the airport to the city center. It should be around 250,000 VND - 350,000 VND + airport fee of 15,000 VND. So remember, to choose a white taxi service (Vinasun Group) when travelling to Vietnam. I cannot say much for motorcycle service with or without a driver since we didn't try it. On average, we spent around 700 SGD per pax. Now you don't have to follow our travel itinerary religiously but use it as a baseline for your future trip to Vietnam instead. There you go! I hope this is of help for your upcoming trip to Vietnam. Till next time.